“Crisis” is the word used by the American Veterinary Medical Association to describe the growing shortage of food animal veterinarians in the United States. Between 1990 and 2007, the number of livestock veterinarians decreased by nearly a third, and by 2011 only 11% of the country’s 84,000 veterinarians focused on farm animals. This leaves hundreds of counties across the country—many of which are home to tens, and in some cases hundreds, of thousands of farm animals—without a single veterinarian. The crisis is most acute in Arizona, where a 2012 USDA study identified a vet-shortage hotspot encompassing more than half the state. This means that for all of the livestock producers in northern Arizona, there isn’t a veterinarian within 100 miles that can serve their needs. That same study also found significant hotspots in New Mexico, Utah, Wisconsin, Texas, South Dakota, Oklahoma, Iowa, Kansas, Missouri, Illinois, Minnesota, Michigan, Oregon, Florida, Louisiana, Alabama, Georgia, the Carolinas, Virginia, Kentucky, Tennessee, and Maine. That’s nearly half the states in the nation where livestock farmers and the animals they raise go severely underserved. This widespread scarcity is alarming not only for the inadequate response to animal suffering that it guarantees, but also the threat to food safety that it poses. Whether systematically perpetuated at the CAFO-scale or chanced by small farmers unable to access a vet when an animal is in danger, sick animals and the food they produce are not good for people to eat. 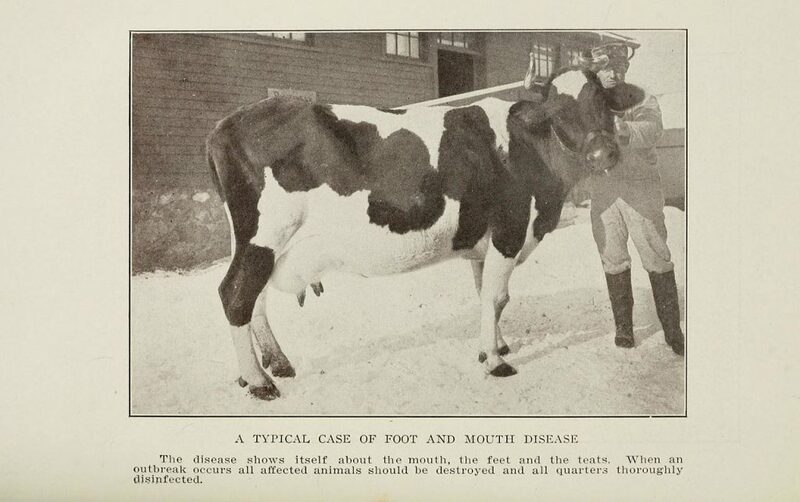 Vets are also the first to identify disease trends among animals that could have human health implications. Without this first line of defense, those disease transmission vectors go unchecked. Very small, very selective, and very, very expensive: the nature of American veterinary schools is at the root of the food animal vet shortage.. The average debt load of a graduating vet student is about $135,000, which motivates most students to follow the money to the highest starting salary possible, which means treating pets in urban and suburban areas. Farmers are less likely to pay a vet to perform routine procedures than a metropolitan pet-owner; they also live far apart and require house-calls, meaning that a livestock vet loses a large portion of their potential billable hours to transit. These conditions translate into a roughly $10,000 pet vet-livestock vet salary gap in year one, expanding to $25,000 over 25 years. It’s no wonder, then, that in 2010, less than 4% of graduating veterinary students planned to work with large animals. In response, the USDA’s National Institute of Food and Agriculture (NIFA) initiated the Veterinary Medicine Loan Repayment Program. In exchange for a commitment to practice in a “NIFA-designated veterinary shortage situation,” the VMLRP offers veterinarians up to $25,000 a year in loan assistance. The hope is that debt relief will reduce the financial barrier to working with livestock. Veterinary schools are also considering ways that they can adjust their protocols in order to encourage graduates to go into food animal practice. Increasing class size is one such strategy, the idea being that more students will lead to more diverse interests which will, in a rising-tide-lifts-all-boats way, lead to more vets willing to practice in rural areas. According to Inside Higher Ed, more than half of American veterinary schools are in the process of increasing their class sizes, and a handful of new programs associated with existing universities are undergoing accreditation. Unfortunately, not many scholarship incentives exist that encourage vet students to go into large animal practice, and the few that do barely make a dent in that $135k debt. These scholarships are industry-funded, and it seems that philanthropic organizations that work on food systems issues have yet to catch onto the idea that adequate veterinary care is as important to the infrastructure of sustainable agriculture in this country as soil health and waterway stewardship. Without enough veterinarians willing and able to serve farmers in rural areas, the ability of these farmers to produce quality, humanely-treated meat is severely handicapped. When the vet arrives, it’s after midnight. The ewe has spent the last two hours in a state of evisceration, she and her uterus lying side by side in the straw of a make-shift pen, someone checking on her every fifteen minutes. The vet suits up and wades through the New England spring muck to reach her. One person brings her lamb down from the barn and holds it before her face, to calm her, and two people hold the ewe. The vet orders more sugar brought, and douses the uterus in the stuff—one quart, two quarts, maybe even a full gallon. Slowly, liquid begins to seep out of the organ, drenching the ground as it shrinks, visibly, in real time. With a slow but strong pressure, the vet fits the uterus back into the ewe, inverting it as he pushes against her contractions. It takes some time before the entire thing has been muscled into place. Josh holds it there as the vet sews the opening shut, so that she can’t push it back out. She receives a shot of antibiotics, and Josh is entrusted with two more doses. The ewe survives the night, and then the week. Though she won’t be allowed to lamb again, it’s worked out as well as it could. letter from keep the soil in organics!